Wisch Farm Retirement Auction in Staples, Minnesota by Mid American Auction Inc. Note: Mark and Bev have farmed on this farm for 30 years and now have decided to sell their farm and transition into retirement. Mid-American Auction Co. is very pleased to be selected to conduct the Wisch’s farm retirement auction.  This auction will feature a wide variety of interesting items that have been well maintained. All motorized equipment has been serviced with oil changes and lubrication. Most major pieces of farm equipment have been shedded. We will begin with tools and shop items, followed by livestock equipment, then farm machinery. Online bidding will be available through Proxibid if your are unable to attend the auction. For more information, please call Proxibid at (877) 505-7770. Prior inspection welcome by appointment beginning Saturday, March 23rd. In the event of severe weather, please listen to Super Station 106 FM Wadena, KASM 1150 AM Albany or check our website at www.midamericanauctioninc.com for weather related updates. Mark this date on your calendar and make plans to attend this huge farm retirement auction. Note: If you are planning on purchasing titled items, please have your valid driver’s license and current insurance card with you on auction day. Thank you! As we are selling our farm and fully retiring, we will sell the following at auction located 2.5 miles west of Staples, MN on Highway 10, then ½ mile south on 245th Ave. (Dower Lake Road), then ¾ mile east on Thunder Road to Farm #25184, or if you are coming from the south, from the intersection of County Road #21 and Highway 210, go 2 miles north on County Road #21, then 1.3 miles west on Thunder Road. 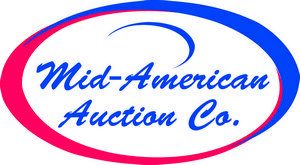 Follow the Mid-American Auction Co. signs; roads will be plainly marked.